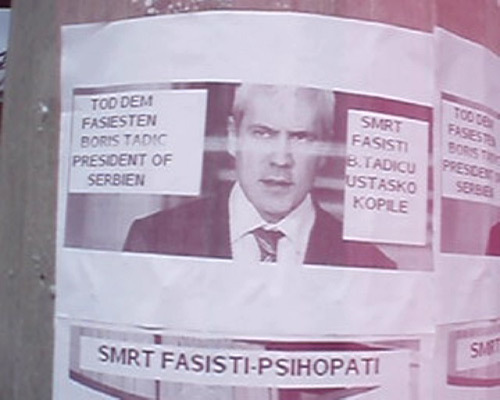 Apparently the integration of crazy Serb nationalists in Vienna is not going as well as expected. Threatening posters should be at least proof-read by native German speakers before being put up. Also, native Serbian speakers. Cases, my friends!